Well, the loons are gone from the study area. I know we all miss them. 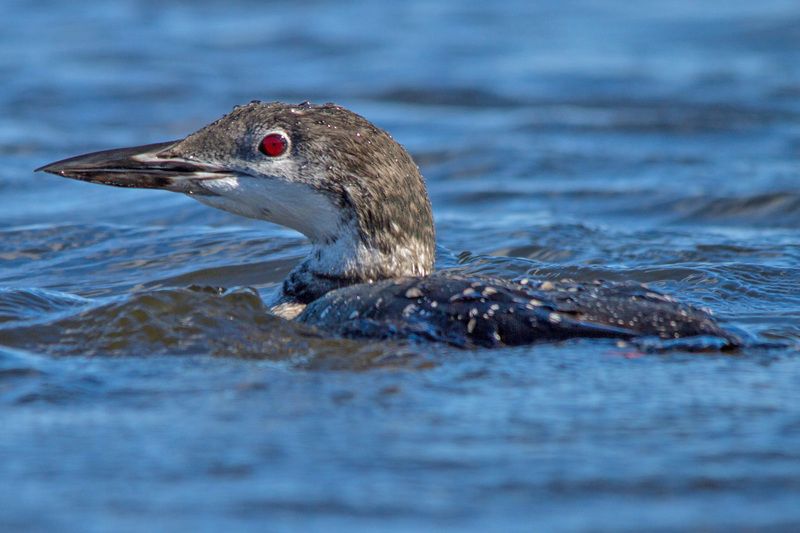 Each year I mourn after the loons migrate south and we all have hunkered down for the winter. But research goes on. I am in the midst of an analysis to learn whether loons that have settled on one lake and bred there — either successfully or not — choose a second breeding lake that is similar to the first. What I am asking here, in effect, is whether a loon learns what constitutes a good breeding lake through its reproductive efforts and applies what it has learned in subsequent reproductive attempts. For example, a loon might first settle on a very clear lake, adapt to foraging on that lake, and then look for a second lake that is also clear. We have preliminary data to suggest such a pattern. If loons do learn what features of lakes are helpful to breeding, and fine tune their lake choices on the basis of their first territory settlements, this would be an interesting and important advance in the study of habitat selection. 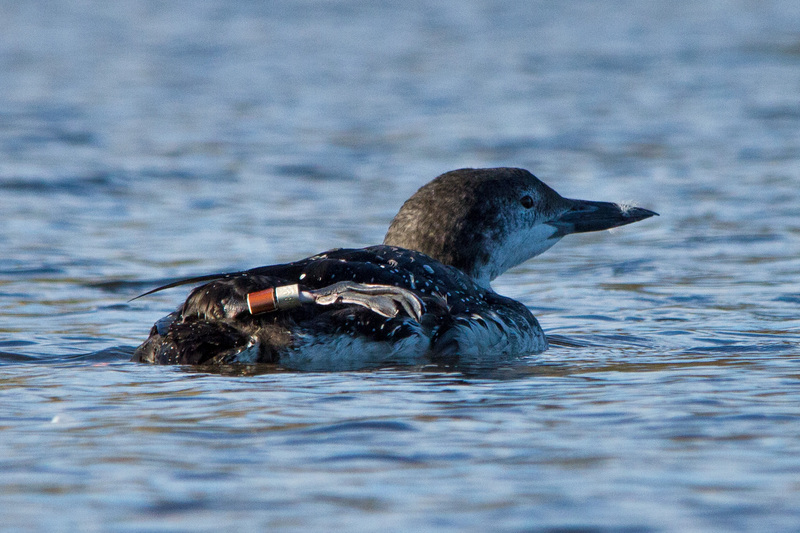 It would also add to our recent finding that loons initially choose to settle on breeding lakes that match the lakes on which they were reared. I will let you know what I find out about territory settlement as the work progresses. Meanwhile, enjoy these nice photos from Linda Grenzer, who tracked the breeding female from her lake onto Bridge Lake this fall and caught her molting.